Marvel at the wonders of space travel at Space Center Houston and Rocket Park. Be dazzled by the Friday night fireworks over the bay at Kemah Boardwalk. Clear Lake is a stunning and vibrant community just 25 minutes from downtown Houston, TX. 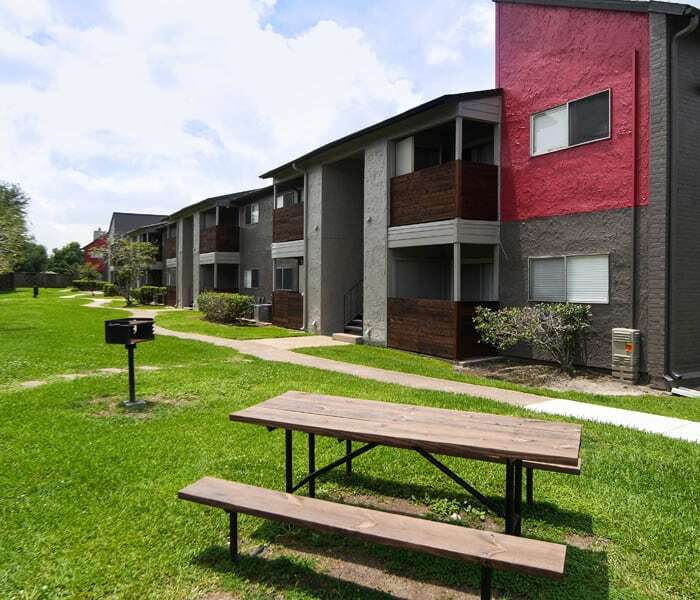 Newport at Clear Lake puts you in the heart of it all, close to I-45, major local employers such as Schlumberger and H-E-B, and quality schools and colleges. Live near the shores of the Gulf Coast in our pet-friendly apartment home community. Eating well is the norm in Clear Lake. Fish for your own delicacies off the pier or grab a table and a plate of crawdads at Tommy’s Seafood Restaurant & Oyster Bar. Travel the culinary globe at Tokyo Bowl for sushi and noodle bowls or Mogul Indian Restaurant for some samosas. Or swing by Kroger and pick up something to throw on the outdoor grill. Maybe you’re looking for a great sports bar to watch the Texans game. Head over to Time Out #2 Sports Bar for a beer and some crawfish or Buffalo Wild Wings for all the chicken you can eat. For a quieter, more upscale experience, try Rosewater for creative cocktails. Schedule a tour of our floor plans and community today, and discover the best of garden-style apartment living at Newport at Clear Lake.